We're now into the first official week of December and my excitement for Christmas has reached a whole new level. 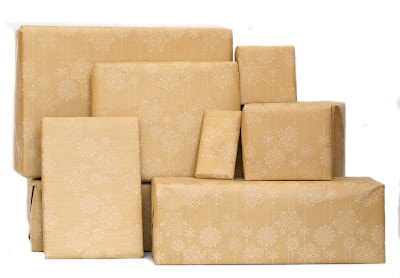 When my friends at The Reject Shop asked me if I could share some gift wrapping ideas for Christmas, I decided that I'd show you some super simple and slightly out-of-the-box ways to jazz up your Christmas wrapping whilst having a bit of fun along the way. 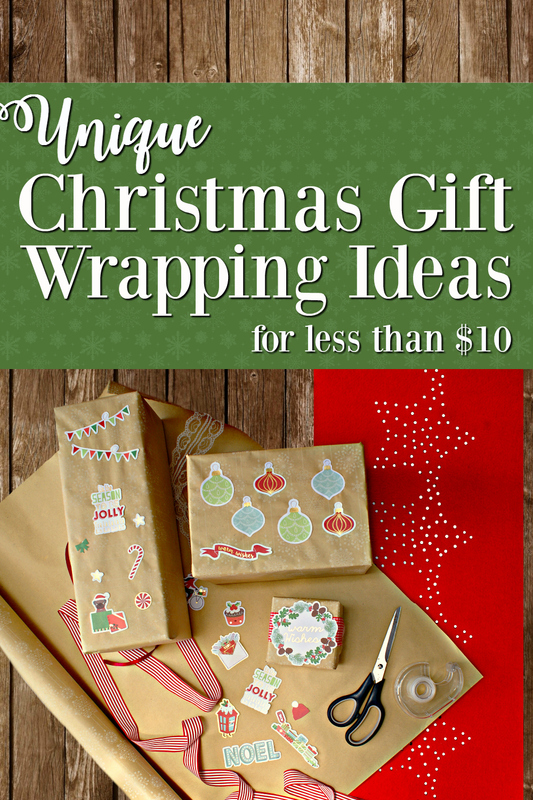 Christmas wrapping shouldn't be expensive - but that doesn't mean it has to be boring! I'm going to show you how you can take one $2.50 roll of brown paper wrapping from The Reject Shop and make it your own. First I thought we could start with the cute. Instead of your run of the mill printed paper, add a little extra oomph with some Christmas stickers, stencils or cut outs. 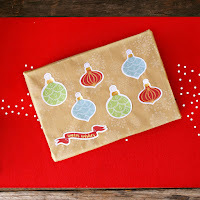 I took a $3.50 pack of scrapbooking Christmas die cuts and stuck them to our gifts with a glue stick (you could also use double sided tape or PVA glue). Add some ribbons or glitter, stamp on your recipient's name or theme it to suit their personality - or even the gift inside. I love lace and rustic papers or fabrics together so this idea was a no brainer for me. For this theme I used lace scraps from my sewing box (find them at your local craft shop), paper doilies ($2 for 48 at The Reject Shop) and silver ornaments to add a little bit of sparkle. Make a doily "flower" by folding and bunching your doilies and layering them together and secure your ornaments with a piece of sticky tape so your gift recipient can also use the ornament on their tree! I've been seeing a lot of black, white, gold and silver Christmas themes around lately and these scrapbooking die cuts ($3.50 for 134) from The Reject Shop were perfect for a modern metallic theme. I used black ribbons ($2.50 per roll), gold bells ($2.50 for 12) and the die cuts for a deceptively simple look. The gift on the left has a tiny gold bell tucked under the floral die cut (secure it to the back of the cardboard die cut before glueing it on) for a more traditional touch. Stick with more traditional Christmas colours but add some pretty floral details for this look. I'm a big fan of using gift wrapping elements that can then be reused so we found a mix of floral ornaments, paper flowers and flower hair pins (the red one on the left was only $2 at The Reject Shop). This look is over $10 - but only if you use both paper flowers and hair pins. But tell me, have you got your Christmas shopping done yet? How do you like to wrap your presents? And how were your presents wrapped as a child?